Before I give an update I want to say just how proud I am of all the Mamas who’ve contacted me today. You are BRAVE! I knew that many of you were hurting alone, but I had no clue how many and I’m so incredibly proud of the bravery you’ve displayed today in sharing your stories with me. Please let people love you. Even if you only share with one person and give that person permission to share with someone else, you’re opening a door that will lighten your load. Your load needs to be lightened. Today was a really hard day. The people we know for certain were injured by Sofija today include two doctors, a nurse, the Mom of a patient, another patient (a 16yo girl who is 5’8″ and weighs at least 250lbs – Sofija took her to the ground by her hair), Chad, our dear friends Mike and Martha, and me. I’m missing hair and I have two clear impressions of her teeth on my head. Like I said, today was really hard. One of the things that many families live with who’ve adopted older children from hard places is DID. No, I’m not referring to the verb. Although there are plenty of people in our children’s past who DID or DID NOT do something that has contributed to their current state of mind. DID stands for Dissociative Identity Disorder, formerly referred to as multiple personality disorder. Children who are survivors learn to develop other personalities in order to deal with the trauma they are experiencing and to protect their true person. I’m not going to share details about what this looks like in our home. If you know us personally and you’ve spent time with Sofija, you know. I’m sharing this piece of our story because there are many humorous moments resulting from DID. Sofija will often hug me or climb in my lap and say, “Mama, we ALL love you.” And when she doesn’t get her way she will tell me, “Mama, we’re all angry with you.” Today, as I walked into a room that was only occupied by her, she said, “Hey, Everybody! Kaci’s here!” She then high-fived “everybody” and clapped and cheered, “We’re SOOO excited!” The laugh I got from that introduction helped me get through the blood trickling down my forehead a few hours later. Sofija is not my only child. We have three others who are absolutely frickin’ amazing. Our oldest is a sophomore in college and a barista at Starbucks. If her Starbucks wasn’t four hours away, she would be my favorite child. Our second will be 18 in March. We started homeschooling him two years ago and he finished his last high school final exam yesterday (on a Sunday while his parents were busy with his sister at a psychiatric hospital, no less). He works at a SweetFrog that is one mile from my house. When I need frozen yogurt or a great hug, he’s my favorite. 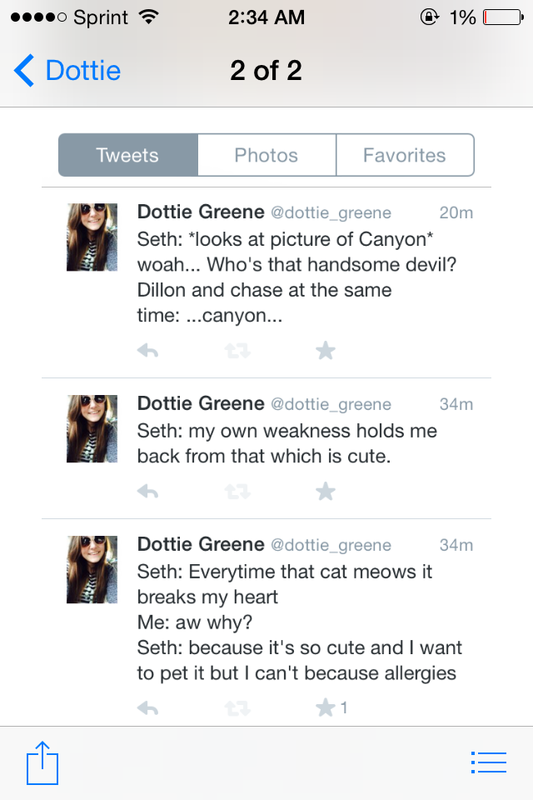 And then there’s Seth. Seth is 14 1/2, has high-functioning autism, the biggest heart of any human I’ve ever met, and a sense of humor that makes life worth living. Parenting him gave us the courage to adopt Sofija. When Seth was 4 we had a doctor tell us that we needed to accept that he may never be verbal or toilet-trained or able to function in a mainstream classroom. Within two years he proved that doctor wrong on all counts. Seth makes me believe that Sofija’s future will look better than her present. It just will. Today I had some alone time with Seth while my dear hubby kept vigil at the hospital. We had to pick up work from Sofija’s school and on our way he said, “I just loooove my boxers! Not only do they make me look extremely attractive, they keep me from getting a wedgie.” And then tonight, while leaving the hospital, I got a message from my oldest son’s girlfriend. Her family had both boys over to watch the football game and eat dinner. Evidently Seth entertained them. 🙂 Yes, I realize my battery is about to die. I’m going now to plug in my phone and get some sleep. Thank each and every one of you who has taken a moment to pray for our family. The prayers are felt. I’ve attempted to journal all of the instances where we’ve seen God’s hand in the middle of this situation. God has blown my mind! I’ve had everyone from the unit manager to Sofija’s 1-on-1 sitter stop me to say, “You know God is healing her.” Every single person that has cared for her has faith that God is working a miracle in her and we have received unbelievable favor. Go God! Please continue your prayers as we have our first team meeting on Tuesday at 2pm est to start developing a treatment plan for Sofija. Chad and I have had time to do a little research and we have ideas that we’re hoping the team will agree with. Pray for us to have listening ears and for everyone to be filled with grace and compassion for our daughter. 2 Corinthians 12:9-10 …“My grace is all you need. My power works best in weakness.” So now I am glad to boast about my weaknesses, so that the power of Christ can work through me. 10 That’s why I take pleasure in my weaknesses, and in the insults, hardships, persecutions, and troubles that I suffer for Christ. For when I am weak, then I am strong. These heart wrenching events are very faith shaking. You will not be moved. I encountered DSS in the ER Memorial Day weekend 2001 they took custody of my son. I let God hold onto me when I couldn’t hold onto my child or anything else. It was ugly. I did ugly – He was considered for adoption. In 2004 God restored everything when I received a call that my son would be returned to our home. I began to praise God with all that was within me until I could not say another word. You have made me brave during these last four years. Thank You Kaci, for sharing your continuing journey about your daughter & family that God blessed you with. Sharing the struggle binds the Enemy powerless. And your amazing ability to write it all down. There will be a story maybe not with a Walt Disney ending but with a God ending — who is always with you and always for you. I wait with an expectancy to see God move in this season of your life.